Microsoft Dynamics 365 | PowerObjects BlogThe CRM Minute: Paging Doctor Who, CRM is Calling! 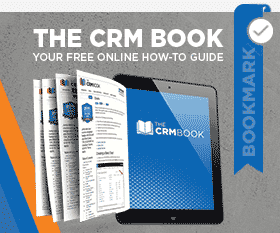 Home The CRM Minute The CRM Minute: Paging Doctor Who, Dynamics CRM is Calling! [VIDEO] Be the first to comment. Here at PowerObjects, one of our core values is “Live the Technology” and our team embodies this daily, whether that technology is a sonic screwdriver or CRM! See how two of our amazing team members took their passion for CRM and merged it with a love for Doctor Who to manage CONsole Room, a Doctor Who convention held here in the Twin Cities area. Using a combination of Dynamics CRM and PowerObjects’ PowerPack Add-ons, they are able to put on such a great event that even the Doctor would be impressed! by Joe D365	June 15, 2016 Be the first to comment.